Although he’s probably better known as a producer (with Solomon Burke's Don't Give Up On Me, Allen Toussaint and Elvis Costello’s The River in Reverse, Mose Allison’s The Way of the World being three of his productions that have had plenty of air time on Hughesy’s personal radio station) Joe Henry started out as a singer/songwriter, working in genres including alt. country, rock, jazz and folk. 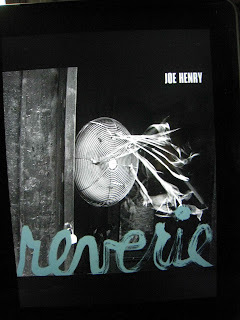 Reverie is Henry’s twelfth studio album, though studio might be taking things a bit far. Recorded in Henry's living room with the windows open in some ways it’s an equivalent of The Basement Tapes, and while it doesn’t have the lo-fi rough edges Dylan and The Band managed to extract in the nether regions of Big Pink there’s much of the same homespun eclectic vibe here. 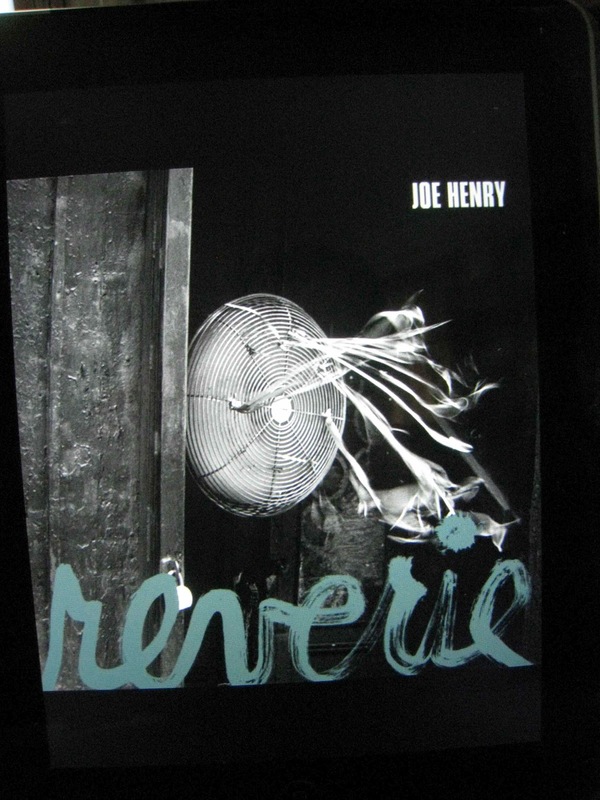 Recorded with what is, by all accounts, his regular crew (Keefus Ciancia on piano, Jay Bellerose on drums, David Piltch on bass, and Marc Ribot on guitar with cameos from Patrick Warren, Jean McLain, and Lisa Hannigan), Reverie comes across as an impressionistic collection of short stories or snatches from a movie. They’re showing a movie on the side of the bay is the first line of the album’s opener, Heaven’s Escape (Henry Fonda on the Bank of America), a dishevelled, ramshackle number with the vocal running over a small jazz combo simple piano and a rattling, echoey snare drum. That’s followed by Odetta, a fragile statement of elegantly wasted yearning, with the same rattling drum sound as the narrator sets out in search of something that might be as inspirational as the singer's music. I couldn’t help thinking back to The Band’s Bessie Smith. Like The Band and Music From Big Pink it’s a sound that can’t be pinned to a particular era in a style that operates outside genres. As a result you can’t be sure which war he’s referencing in After The War, a ballad that may well be one of those love lost fading memory of a wartime romance narratives or might not be about wartime at all. The key lies in the After in the title of a song about the barrier between past, present and future and a longing to climb over that fence, a theme that runs right through the album. Three tracks in the mood is set, and Henry’s strutting guitar, strolling bass and the album’s characteristic drum shuffle continue through Sticks & Stones, Grand Street and Dark Tears, diverting into tango territory for Strung while Tomorrow Is October and Piano Furnace provide a world-weary lead in to Deathbed Version, where the opening line (How do you like your blue-eyed boy?) echoes the closing line from e.e. cummings’ buffalo bill’s defunct, though we’re talking Billy the Kid rather than William Cody. That deathbed theme continues through Room At Arles. Eyes Out For You has the narrator searching for a lost lover while Unspeakable urges the listener to Take my unspeakable song as your own. The album closes with The World And All I Know, a final scene that summarises everything that came before in muted tones. It’s an almost perfect close to an album that comes across as a series of moments in time, random glimpses of distant memories, cinematic without hyperbole, filtered through a musical curtain drawn from across the spectrum of jazz, blues and folk. File under: World-weary fireside reminiscence for rainy windswept winter nights.